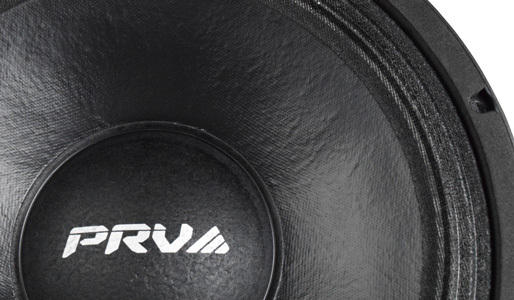 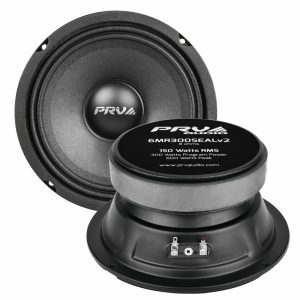 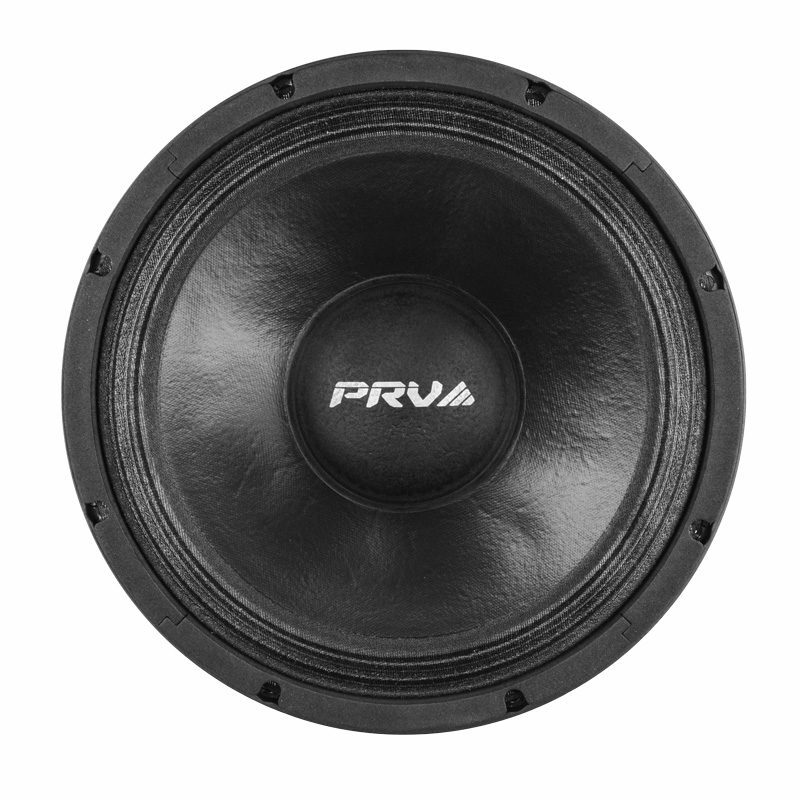 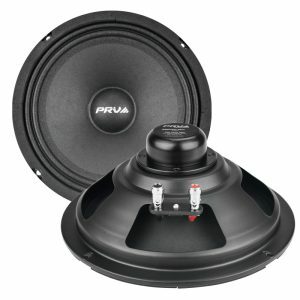 For high output speaker systems, PRV Audio’s 12MB1000FT mid bass is an excellent option capable of amazing performance. 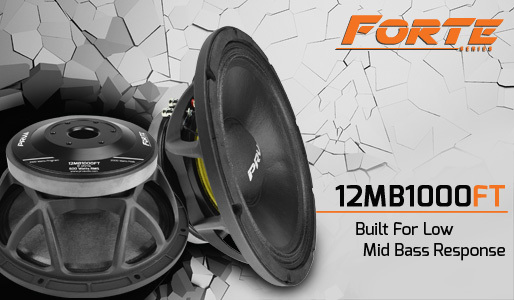 A great new addition to the Forte Series, where more power handling and less distortion on mid low mid bass frequencies is the key. 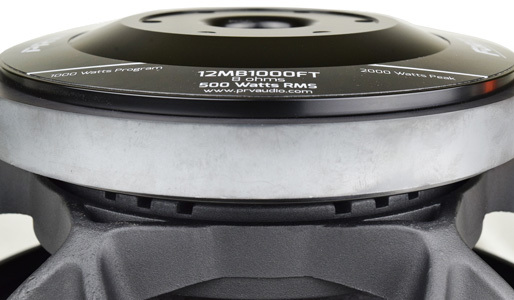 All this attention to detail the 12MB1000FT makes it one impressive driver. 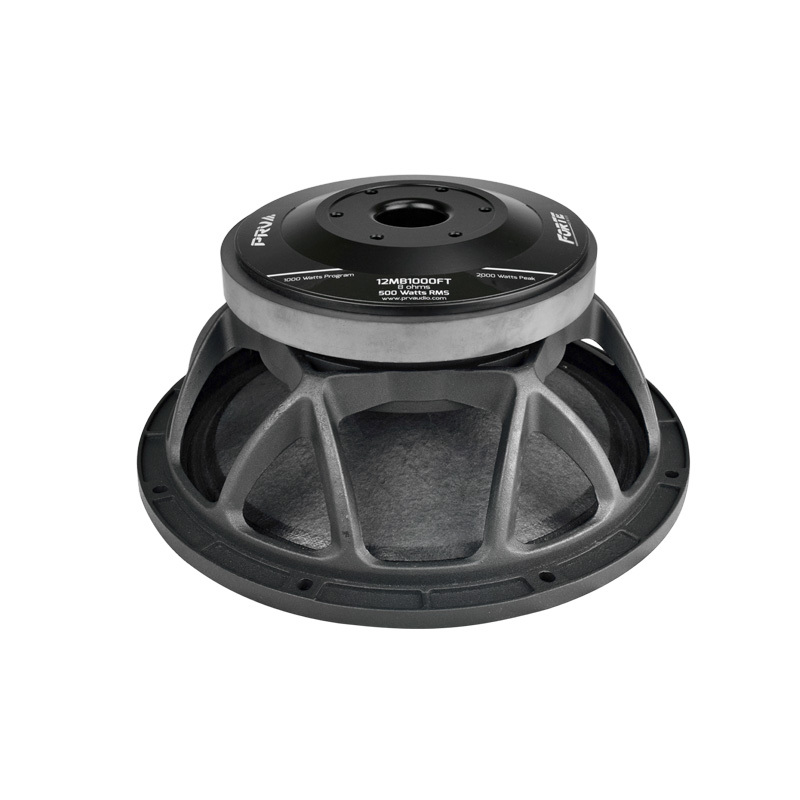 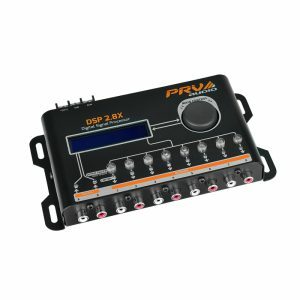 With 97.5 dB efficiency and 500 watts power handling this mid bass will be It is ideally used in stage monitor, auditorium, touring and outdoor systems. 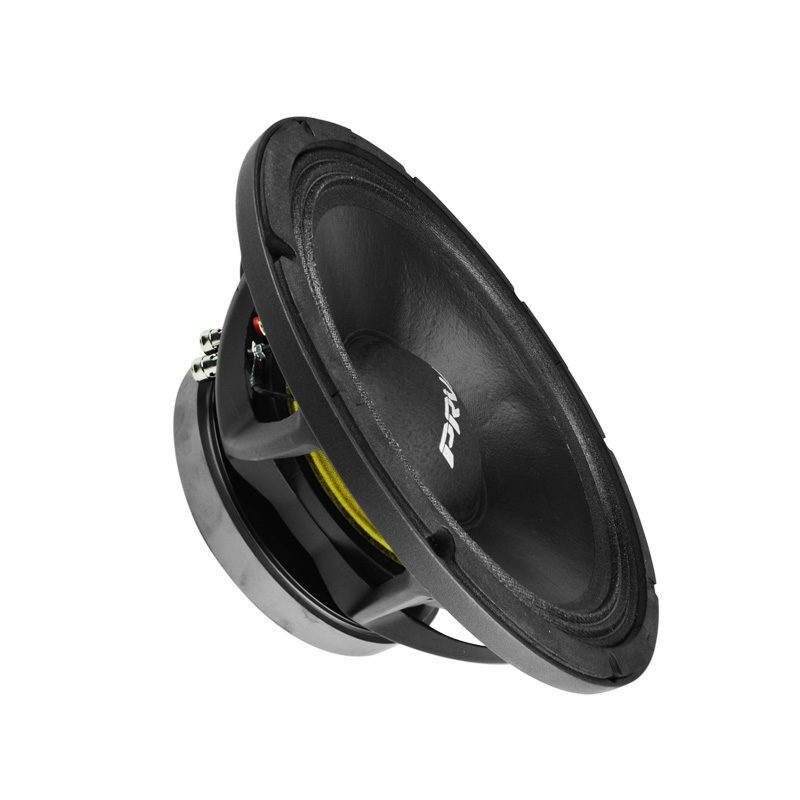 The smooth response from 70 to 3,200 Hz is perfect for 2 or 3-way designs. 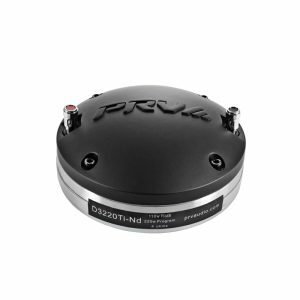 A rigid cast aluminum frame with narrow spokes to minimize reflections back into the cone. 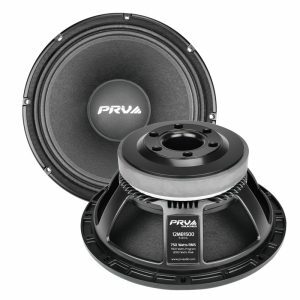 In addition, the frame includes force cooling system openings which allows airflow to cool the voice coil. 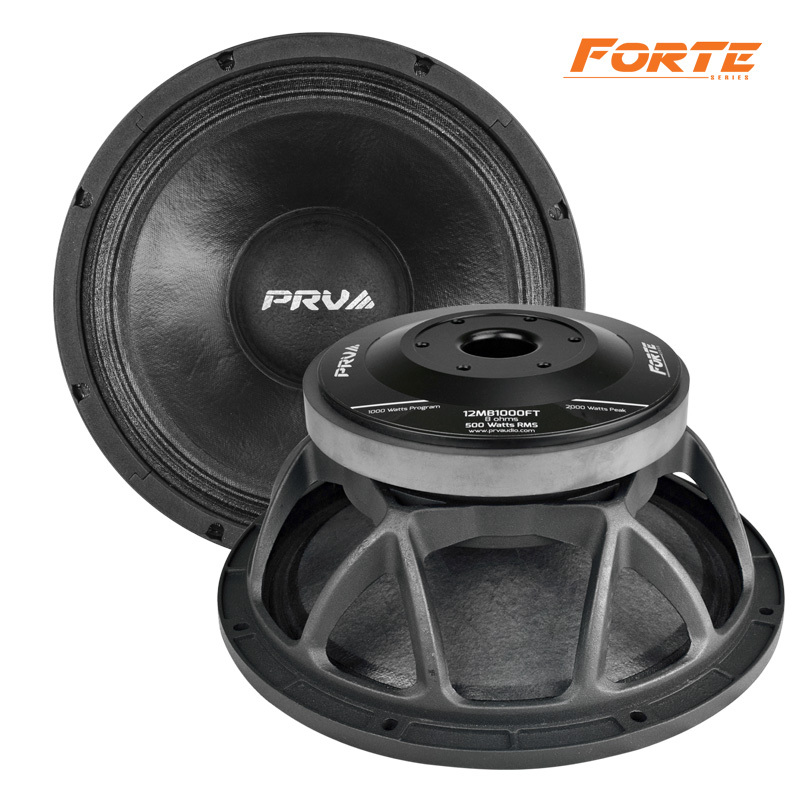 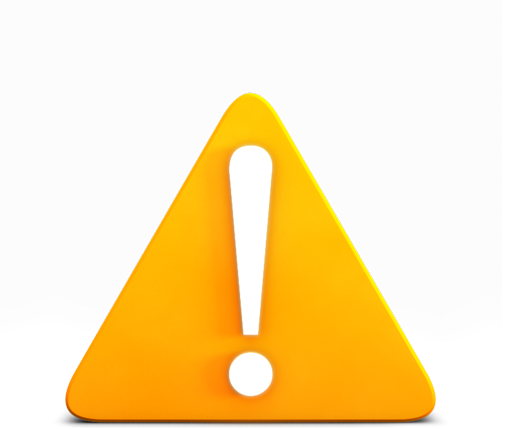 To drive the voice coil, a large ferrite magnet is used with a very precise machined top and bottom plate. 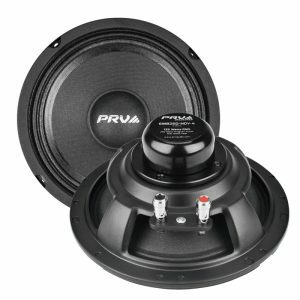 The additional dual forced vent in the back plate for the coil allows this driver to handle up to 500 watts RMS without issue. 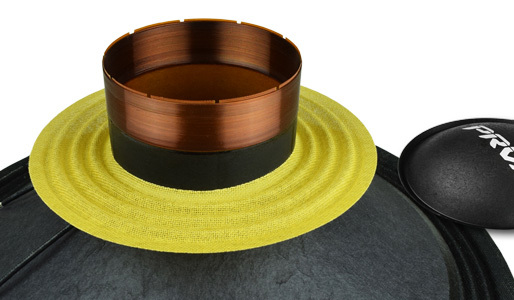 Featuring a paper cone has a special high strength paper pulp composition designed to achieve the best possible linearity within the middle frequency range and a special cone treatment specifically dedicated to improve the dampening properties of the moving assembly, thus considerably improving the smooth frequency response. 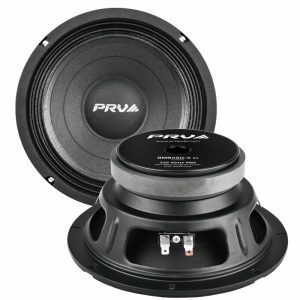 The voice coil is wound on a 3″ glass fiber with aluminum wire keeping weight to a minimum for incredibly quick transient response. 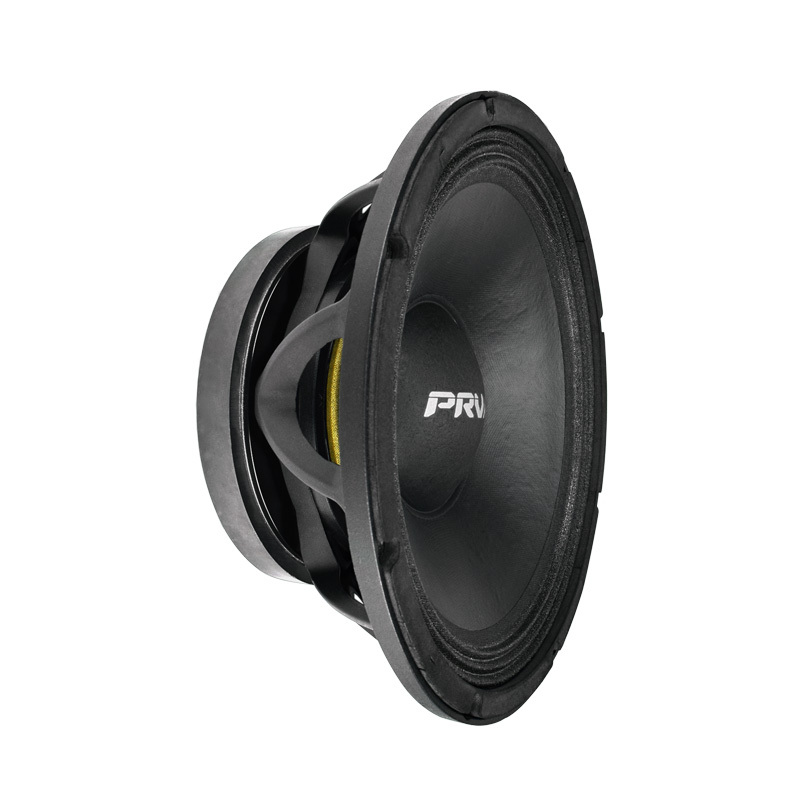 Engineered with 19 mm of winding depth, this inside/outside voice coil provides excellent thermal and mechanical durability.